Stop! You have landed at the right place to get help with all of your Automotive Problems!!! With always Mobile Tire and Battery Services, Your Flat Tire, or Battery Problems will quickly find an Affordable Alternative, to taking it to a Tire Shop. We will bring Batteries, and Tires to You, and Install them Professionally; Providing Security, Comfort, and Mobility, with Always Affordable 24 hour pricing. Our Auto Services are Always the same low price of $50, We Are the "Home of the $ 50 service call!" ​Car or Truck Diagnostic & Repairs. ​ You will be quickly, and efficiently "Back On The Road Again In No Time!" 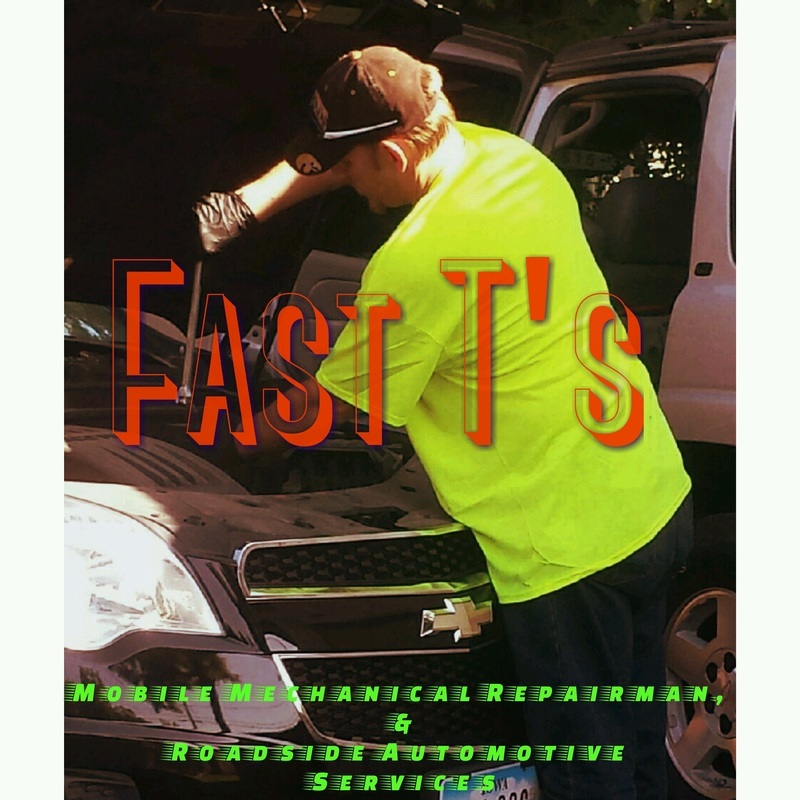 ​"Repairing Your Car Or Truck Fast! For You!" Tire Change, Flat Tire Repair, Stripped Lug Nut Removal, Keyed Locknut Removal, & Tire Replacement/Spare Tire Installation. 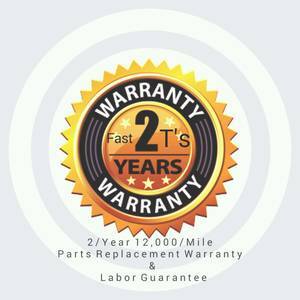 2 YEAR/ 12,000 Mile Parts Replacement Warranty & Labor Guarantee On All Certified Automobile Repairs. ​Combustion engines still run on the basic principals of combustion- Air to burn, Fuel to ignite, Spark for ignition, and a contained cylinder for explosion or what is known as combustion. Although gas motors still require these three basic elements of combustion, engine systems, their respective functions, and engine components have changed tremendously over the years. Today you need to have the proper testing equipment, computer scanning tools, ongoing technical training, and hands-on mechanical experience, to fix a car properly. 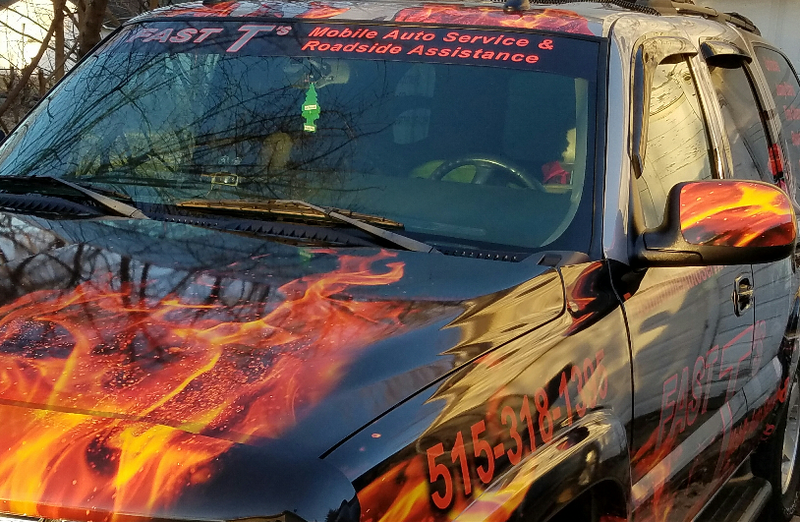 Your Fast T's Car & Truck Mechanical Specialists are well equipped to fix your car or truck. ALL of our Certified Automotive Repairs ALWAYS include a 12,000 Mile / 2 Year Parts Replacement Warranty & Labor Guarantee for complete Automotive Peace of Mind! For more detailed information about internal combustion engines, please feel free to read the article below from the U.S. Department of Energy. November 22, 2013 - 2:02pm. "Internal combustion engines provide outstanding drivability and durability, with more than 250 million highway transportation vehicles in the United States relying on them. Along with gasoline or diesel, they can also utilize renewable or alternative fuels (e.g., natural gas, propane, biodiesel, or ethanol). They can also be combined with hybrid electric powertrains to increase fuel economy or plug-in hybrid electric systems to extend the range of plug-in hybrid electric vehicles. Combustion, also known as burning, is the basic chemical process of releasing energy from a fuel and air mixture. In an internal combustion engine (ICE), the ignition and combustion of the fuel occurs within the engine itself. The engine then partially converts the energy from the combustion to work. The engine consists of a fixed cylinder and a moving piston. The expanding combustion gases push the piston, which in turn rotates the crankshaft. Ultimately, through a system of gears in the powertrain, this motion drives the vehicle’s wheels. Spark ignition gasoline and compression ignition diesel engines differ in how they supply and ignite the fuel. In a spark ignition engine, the fuel is mixed with air and then inducted into the cylinder during the intake process. After the piston compresses the fuel-air mixture, the spark ignites it, causing combustion. The expansion of the combustion gases pushes the piston during the power stroke. In a diesel engine, only air is inducted into the engine and then compressed. Diesel engines then spray the fuel into the hot compressed air at a suitable, measured rate, causing it to ignite. Over the last 30 years, research and development has helped manufacturers reduce ICE emissions of criteria pollutants, such as nitrogen oxides (NOx) and particulate matter (PM) by more than 99% to comply with EPA emissions standards. Research has also led to improvements in ICE performance (horsepower and 0-60 mph acceleration time) and efficiency, helping manufacturers maintain or increase fuel economy. Learn more about our advanced combustion engine research and development efforts focused on making internal combustion engines more energy efficient with minimal emissions." ​Will NOT Compromise on quality! !